In one of the email correspondences with this client..... "On my Cyrillic Russian keyboard when I typed "Спасибо товарищ" [thank you comrade] the next word suggestion that came up was "Сталин" [Stalin] looks like my phone is a cold war veteran & a good party member!" 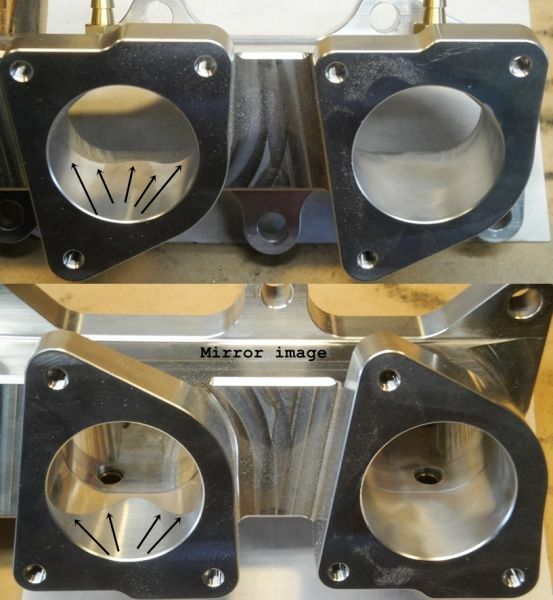 The before & after of the exhaust ports is especially noticeable! 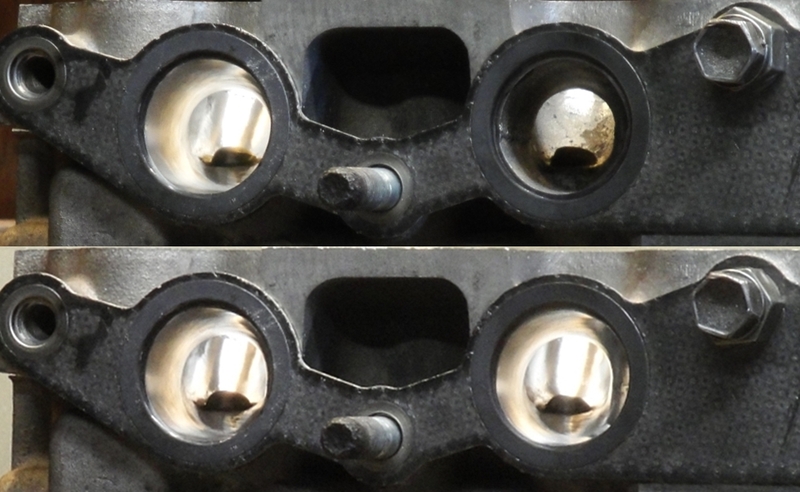 Rogue-AE95 wrote: The before & after of the exhaust ports is especially noticeable! 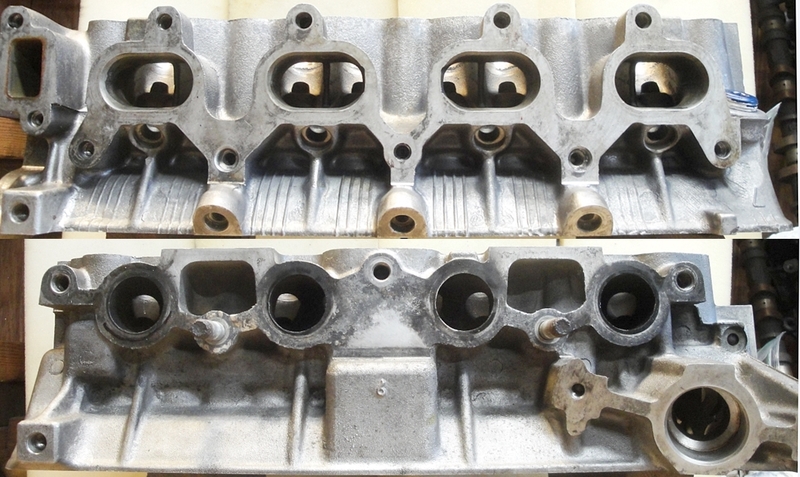 So this engine will be using a set of ITBs. It will be using a T3 adapter. 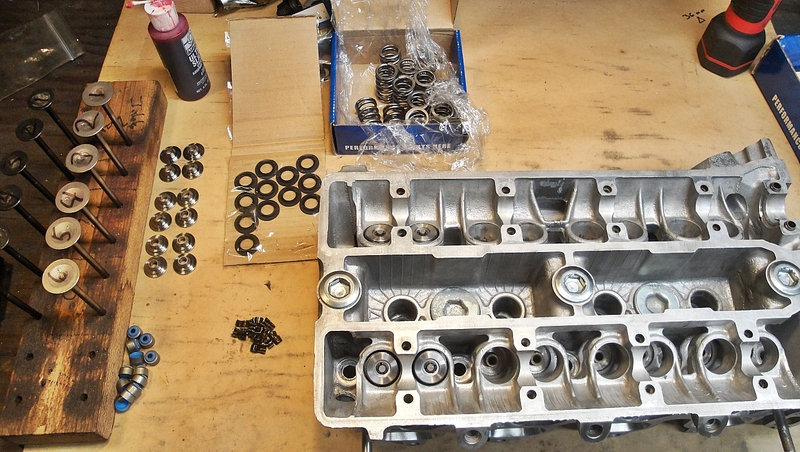 Assembly.... 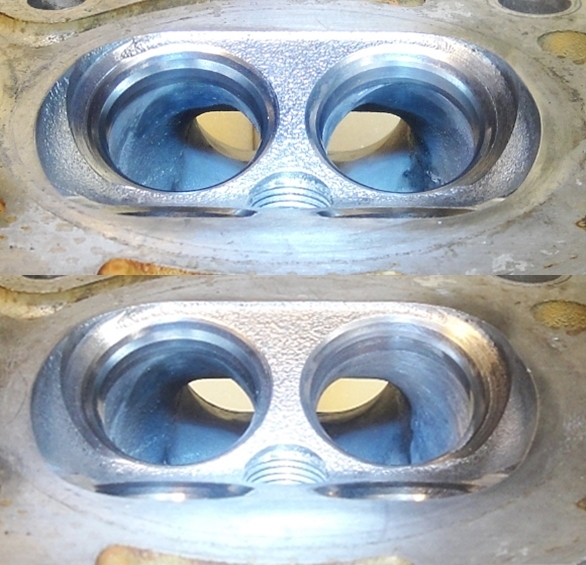 This client is using a Supertech spring/retainer kit. Kind of a shame actually... as there are many springs out there that can fit the stock spring seat. 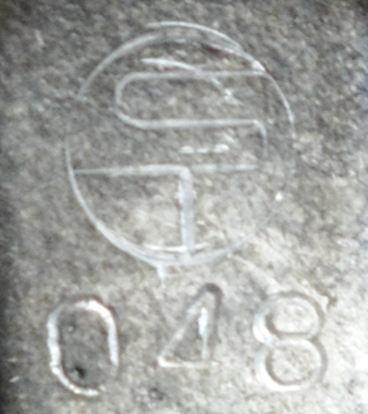 The Supertech spring seat is a flat steel "washer". There is nothing on the Supertech spring seat to help keep the spring located/stable in the spring pocket. Introduce the "Macer" spring seat. The Macer seat fits the spring pocket, and the inside "neck" helps keep the spring located, and stable. If you want to get a set, send me a note, and I'll forward contact info. Did you have to use Bigport (or Mercedes?) keepers? 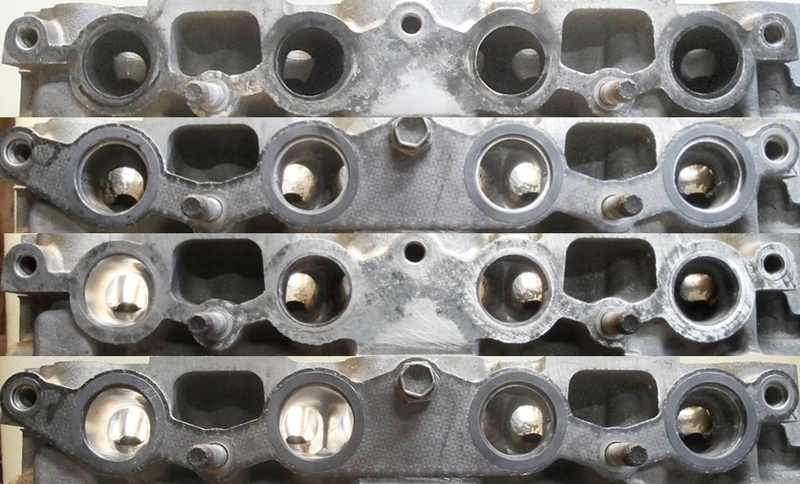 Was this customer also using used OEM valves, or Supertech valves? 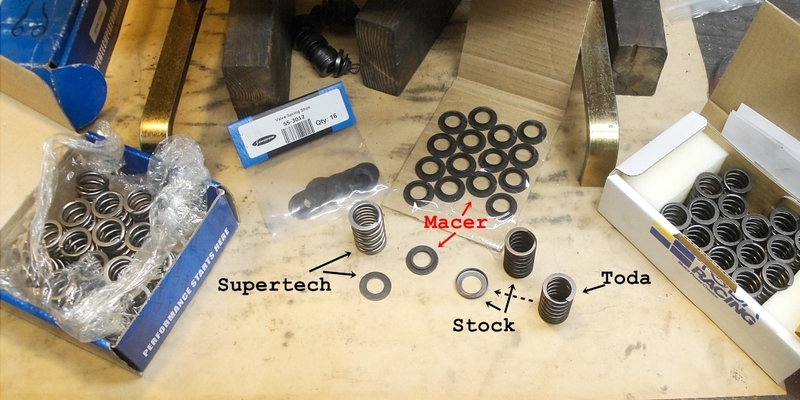 I'm still debating whether to sell off my Supertech valves, especially (as noted in that topic linked above) that I would be using OEM keepers and retainers. apologies for not responding sooner... 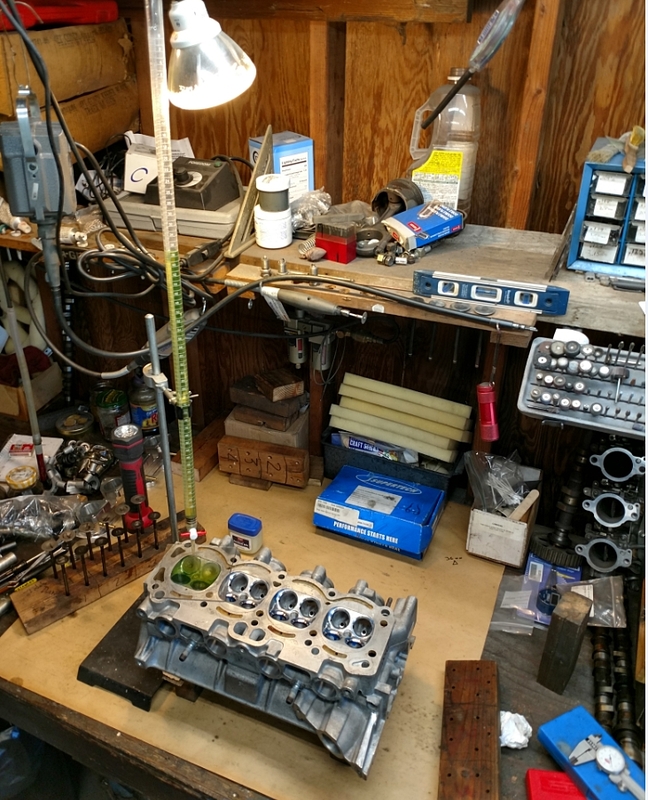 I used the keepers that came out of the engine when it was disassembled - so no, I didn't try and source early keepers, or mercedes keepers, the valves are stock. from another forum wrote: To be fair, the Supertech seat (shim) is "designed" around the dual spring configuration. completely agree... along with their guides for dual springs, and the seals for dual springs. The complete kit is part of the reason I'm not a huge fan. 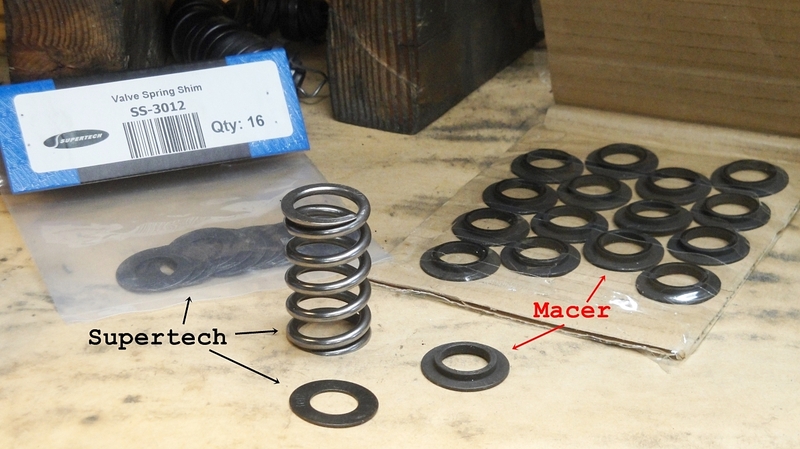 With that said, "complete kit", I called Ferria (not Supertech) and spoke to them about their "kit" (single spring and retainer - uses OEM spring seats). I called BECAUSE their single spring uses the stock seat. I got an interesting education. Although the OEM spring, seat, and retainer all fit together nicely, they don't "lock" together. 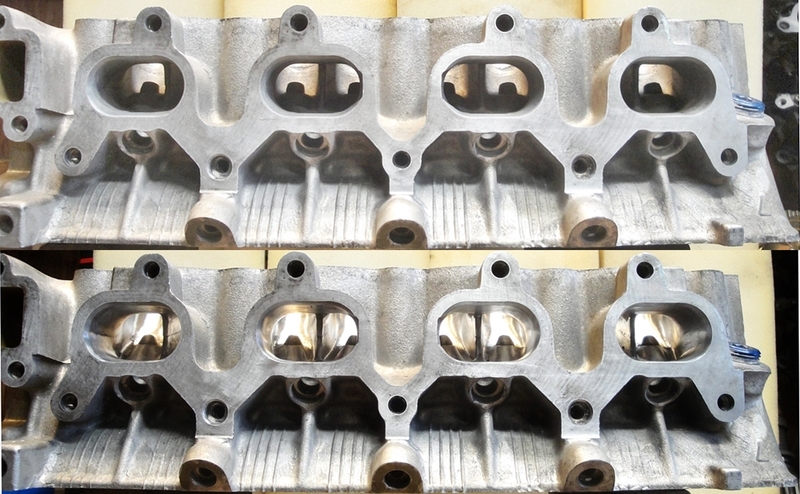 This absence of locking together allows each part to have different frequencies/harmonics - allowing higher wear. In an engine turning 8000+ rpm for 95% of its life, this is a big deal. 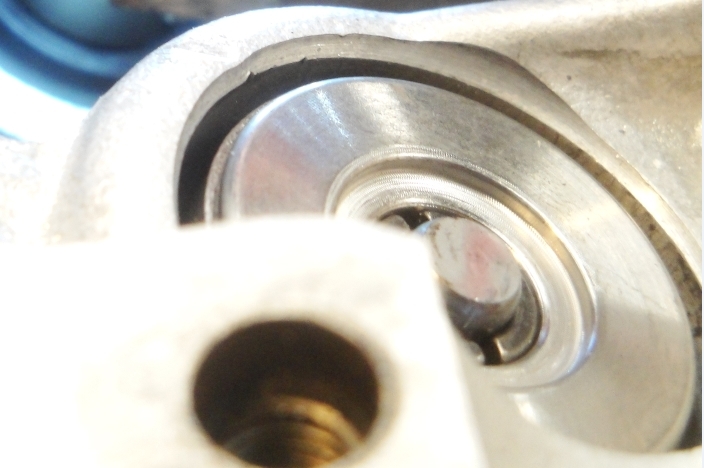 The locking together typically means there is an interference fit, as an example for those who have used Toda springs, they tend to snap onto(into) the OEM spring seat - locking the seat onto the spring. I'd be willing to bet(a nickel), that the Toda retainers also lock onto their springs. 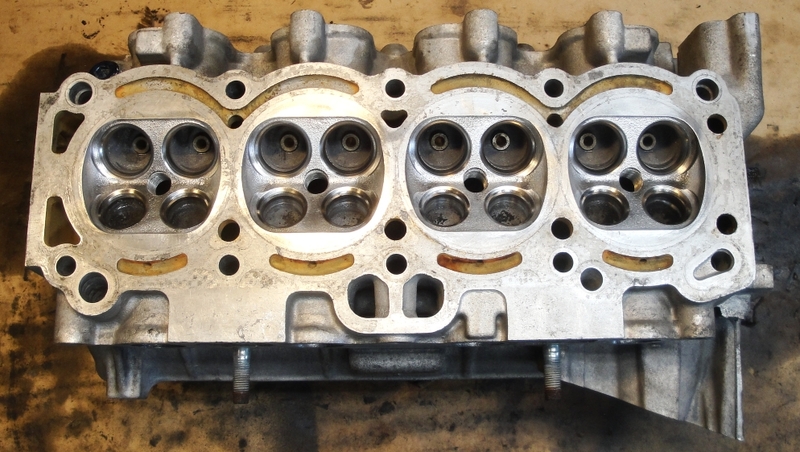 The big but....... for engines that don't turn 8000+ rpm for 95% of their life... how important is it?? Toyota didn't think it necessary for regular use.... but what is "regular" use???? Always something new to learn. Thanks for posting up the info. 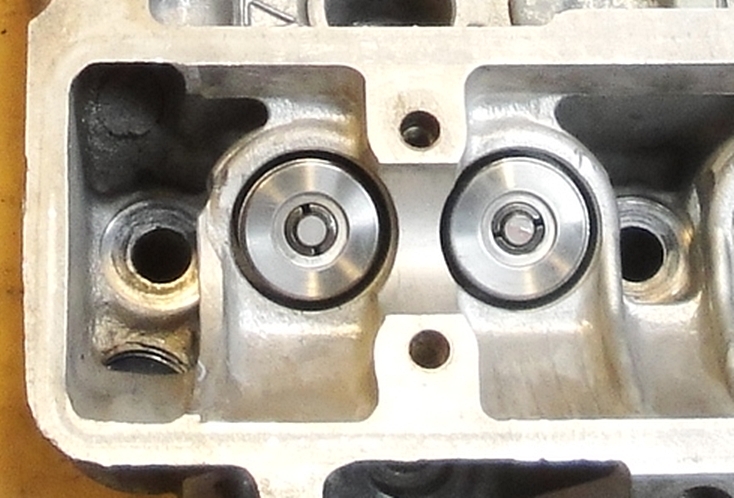 This made me check my HKS valve springs. They fit the stock spring seats with no problems, and maybe 1mm of play.